Massachusetts is setting out to be the first state to put a price on carbon pollution. 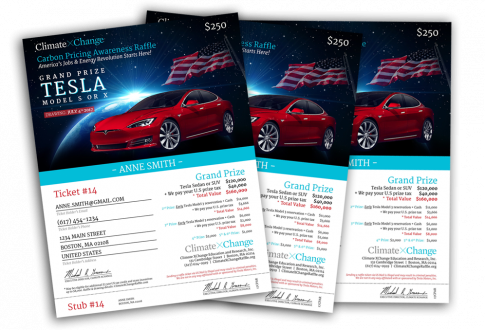 One of the organizations leading the charge is launching a fundraiser that is sure to catch the eye and imagination of many: Climate XChange* is holding its second Tesla raffle. 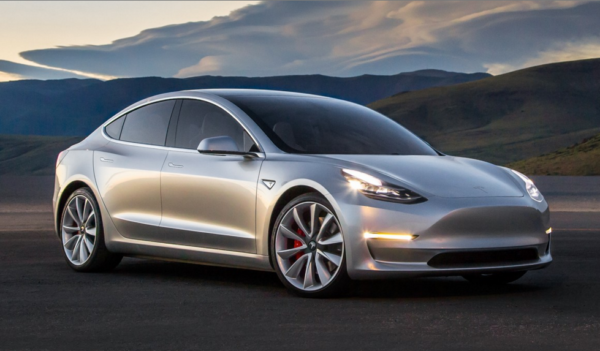 Last year’s event was a huge success and the group thinks the raffle this year will be even more popular, given that Tesla is now worth more than Ford. Interest in electric cars is heating up and the most sought after electrics are the Tesla Model S sedan and Model X SUV. Now, for the price of a $250 raffle ticket, you could become the proud owner of either one. Here’s something most people don’t know about raffles: If you win, the value of your prize is considered income by the IRS. Let’s assume your prize is worth $100,000. If you are in the 25% tax bracket, you will need to send Uncle Sam a check for $25,000 the next time April 15 rolls around. Sort of takes the fun out of winning, doesn’t it? The people behind this Tesla raffle thought that was kind of a dirty trick, so they decided to do something about it. If you are the grand prize winner, you will receive a check for $120,000. Use it to order the Tesla of your dreams. You get to pick the model. You get to pick the color. You get to pick the options. But you get more than that. On top of the $120,000, you also will receive a check for an extra $40,000 that you can use to pay any applicable federal or state income tax. There should be enough money left over to pay state sales tax and registration fees, too. What does that mean? It means it will cost you nothing if you win. Everything is covered. You get to just pick up the Tesla of your dreams and drive it without any hassles, headaches, or harassment. But if you don’t win the Tesla, they are offering some additional excellent prizes. Second place prize is a spot in line for a Model 3 plus $10,000. Third place also comes with a guaranteed spot in line for a Model 3 and $5,000. Cash prizes round out the top six. Climate XChange is a registered Section 501(c)3 Massachusetts corporation. Its sole mission is to provide policymakers and advocates with cutting-edge information on market-based solutions to climate change. Currently, the organization is promoting awareness of the carbon pricing legislation pending in the Massachusetts legislature. One is Senator Michael Barrett’s “An Act Combating Climate Change” — a carbon pricing bill in the Senate — and the other is “An Act to Promote Green Infrastructure, Reduce Greenhouse Gas Emissions, and Create Jobs,” put forth by Representative Jen Benson in the House. Get your Tesla raffle tickets here!